Cultivation | VINSELEKT MICHLOVSKÝ a.s.
Doc. Ing. Miloš Michlovský, DrSc. has devoted his life to cultivating new varieties. The process of creating a new variety is long, difficult and demanding. It is not only the cultivator who brings a new variety – it is a team of cultivators, colleagues and years of work. At the beginning, there is the broad knowledge of the cultivator and theoretical preparation of the selection of candidate plants that seem to be suitable donors of the required properties, whether the objective is to create resistance to frost, draught or fungal diseases. Such properties are often common for the Vitis varieties: such as Vitis amurensis, Vitis riparia, Vitis rupestris, Vitis cinerea, Vitis labrusca and Vitis berlandieri. The varieties often excel in one of the required properties but they lack other properties, which is normal in nature: it is usually the quality of grapes that is insufficient (low sugar content, high acids, lack of primary aromas) and does not meet the requirements and demands. Multiple mutual crossbreeding of various Vitis varieties with well-known European cultural vine Vitis vinifera, or with its varieties to be more precise, creates interspecific hybrids that are often resistant to fungal diseases and provide grapes of sufficient quality. The advantage of these hybrids is their ability to resist the increased pressure of fungal pathogens. That leads to a significantly lower amount of applied protective interventions in the vineyard, thus higher ecological efficiency and lower burden of the environment by chemical sprays. We mainly use such varieties in the ecological farming systems. Our Company has about 20 hectares of cultivating areas that are dedicated to obtaining new varieties with regular evaluations of economic indicators, including degustation of prepared wines. We cooperate with renowned Moravian cultivators, such as Mr. Lubomír Glos, we also used to cooperate with Professor Vilém Kraus, and we work with prominent foreign cultivation centres in France, Germany, Austria, Italy, Switzerland, Hungary, Moldova and Russia. 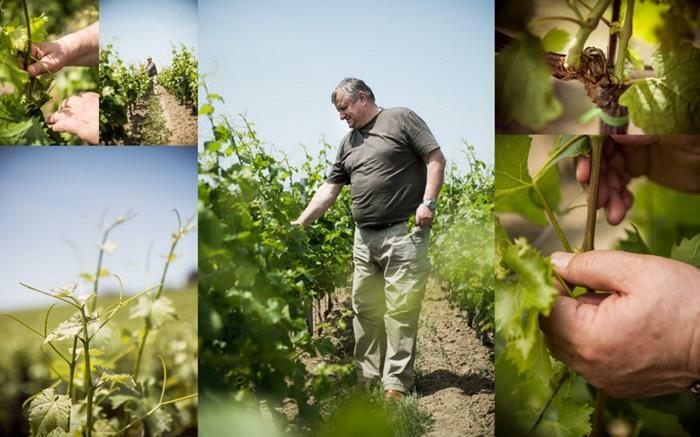 Miloš Michlovský is also a pioneer and supporter of biological vine growing in the conditions of the Czech Republic. More about organic production.